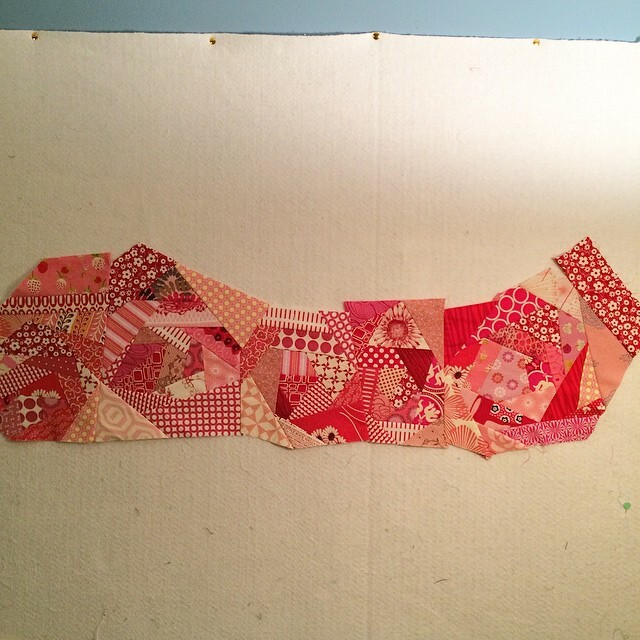 I was able to do some more work on my red scrappy improv blocks tonight and I turned them into a strip - it is nicer in person, it is pretty late and dark here now. I have a plan to maybe cut them into an actual strip and add that to my black and white improv blocks from a week or so ago. We shall see. 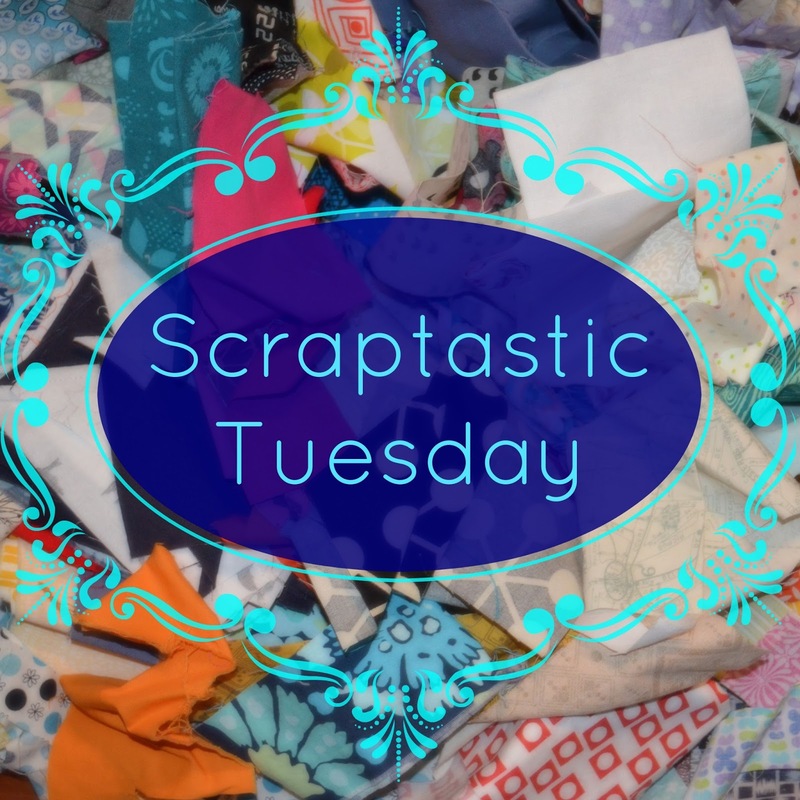 Today is the day to award the prizes for the December Scraptastic Tuesday link. Thank you all for joining in. I have been enjoying the scrappy inspiration. If you have not yet had time to visit the links, I encourage you to do so - go here for the December links. We will be emailing the winners once it is morning in Canada - this post is scheduled to go up when it is morning at Nicky's house in the UK - but feel free to email Nicky or I first if you read it here before we get to you, and then we can connect you to your prizes. Please join Nicky and I using your scraps over the next few weeks - use our button or tag your posts #scraptastictuesday. 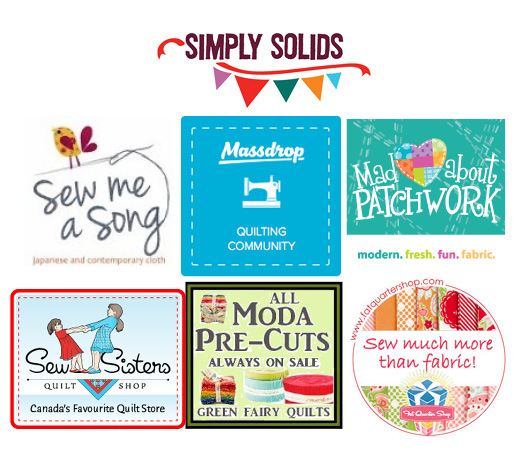 And come back to join us for the January Scraptastic Tuesday link on the second Tuesday, which will be January 13, 2015. It's a garland of roses! so curious about your finished scap-project! Great idea to make a strip!!! You are sew smart! Love them! I was wondering how you were going to incorporate them into a quilt. A strip is a great idea. Love it! I'm doing something very similar with my crumbs :) Congrats to the winners!!! Fun to see that bloom up there on your wall! I do like the look of your red 15 Minute Play blocks altogether in a strip, you've reminded me to finish my blocks!! The red strip will look great with your black and white improv blocks. Thanks also from me another excited winner! I like you scrapy strip as it is, it looks like a crinkly piece of paper! Nothing to link up this week. Your strip idea is an interesting one.